Welcome To The Celtic Shirt! Now Part Of The National Football Collection! Check out the archives from The Celtic Collection. No obligation valuations with the option to sell. Check out our sister site for more great memorabilia. 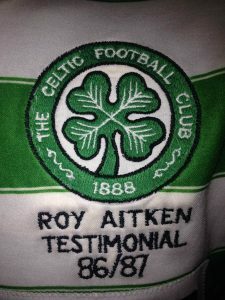 The Celtic Shirt forms part of the larger National Football Collection, which is the largest private collection of football memorabilia in the UK. Many items are on permanent display at the National Football Museum in Manchester.